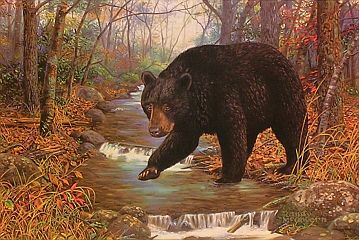 Life is easy for a bear; it's like a walk in the park. 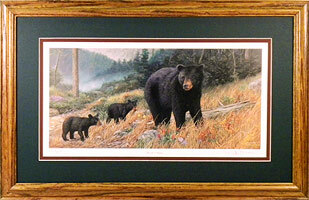 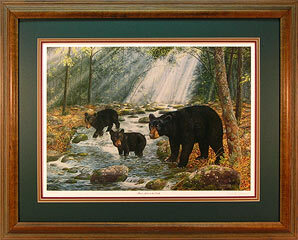 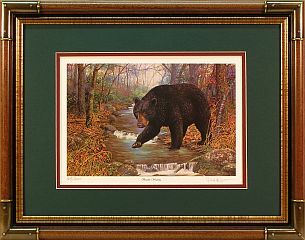 The Bear print above can also be framed in the brass corner frame as shown below. 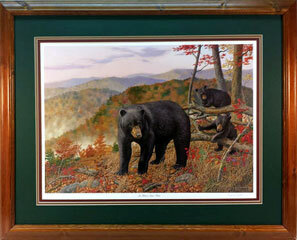 This Bear can also be framed in the Brass Corner frame as shown above and the one above can go in oak. 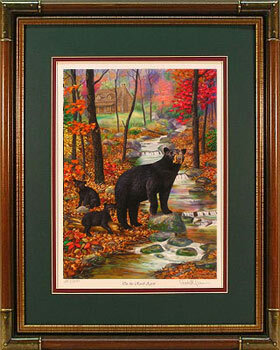 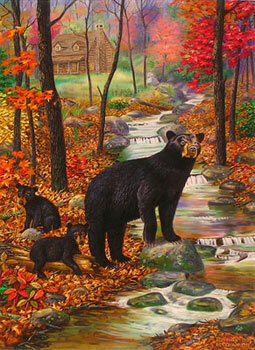 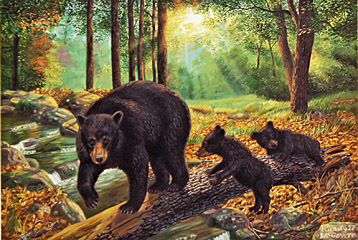 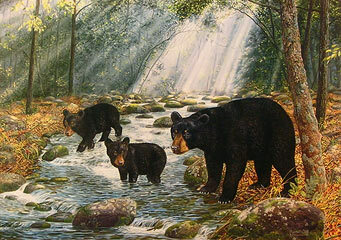 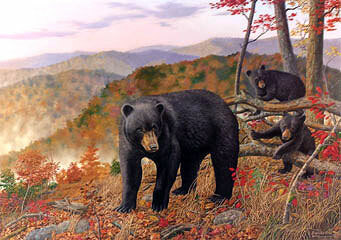 In these Black Bear prints, you can imagine you're the third bear cub. 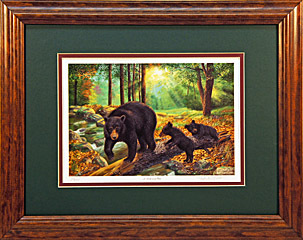 Small Image Size: 4 5/8" x 6 3/8"
Small Frame Size: 9 1/2" x 11 1/2"